i heart peonies: Hello, Pemberley! Happy New Year! After considering, deciding, overanalyzing, then acting- I have changed the name of my business. No one understood me at industry events when I would introduce myself. I felt like a teenager saying "I Heart" all the time... like I should follow that up with LOL! POS. IMHO I needed to make a change. Although I love my name, my last name is regularly spelled incorrectly and I'm not an "Events by Natalie" kind of girl. If you aren't going to use your name, naming your business is a challenge. There are a million possibilities, yet every time I found one that I liked it had been taken by someone in Georgia. Pemberley crossed my mind after reading Pride and Prejudice for the 79th time. 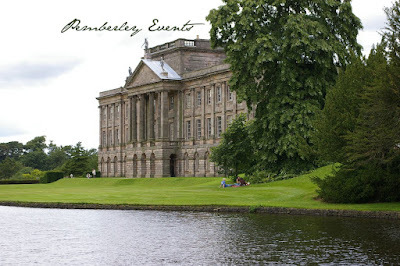 Pemberley is Mr. Darcy's amazing estate, where (spoiler alert... almost two hundred years post publication) he and Elizabeth go to live after their wedding. Romantic, personal to me and easy to spell. Done. I have started re-working my site and I still have a lot to do, including adding photos from 2011 weddings. With Eloise starting preschool next week, I am hoping to be able to blog a bit more. 2012 is going to be an exciting year, with lots of loving couples and creative adventures. More on that later. I hope 2012 is treating you well! if I was planning my wedding, i'd hire you just for the name. lovely choice! my heart stops everytime, during the carriage ride when Lizie beholds Pemberly for the first time (A&E version of course)!